Almost five years ago, I visited Mount Etna for the first time. 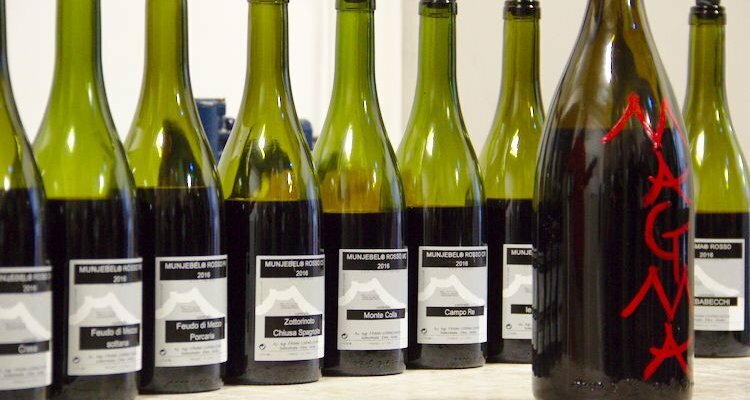 Back in 2012, it already seemed like the world’s most famous volcanic wine region was exploding in terms of global interest, having transitioned from near abandonment in the 1980s to 60 serious producers. But that was only the beginning. By 2015, the producer figure was more like 100. This April, I returned to find at least 120. I was curious to find out who’s buying up the land, and what’s driving all the expansion. A continuously active volcano is evidently a good sell for wine – even with the ever-present risk that it could all be lost in an instant. Each serious Etna eruption not only triggers a series of news items, but a fresh crop of wine articles as well. It’s easy to see the allure for producers, not only making wine on volcanic soil that is literally changing its composition day by day, but also having this built-in marketing gold. 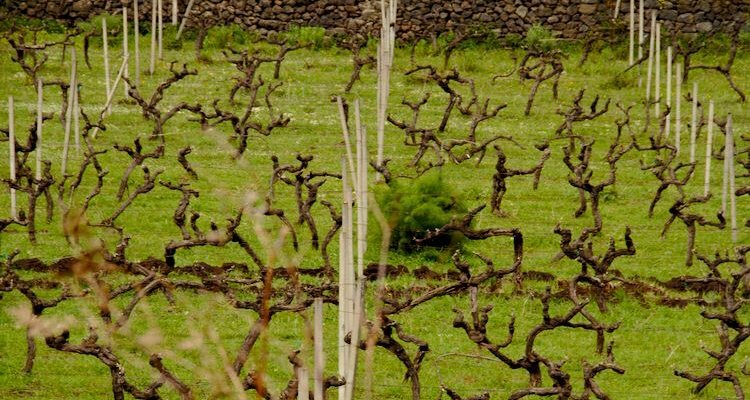 Etna has its own equivalent of anteprima (first taste of the latest vintage) – Contrada Dell’ Etna – held every spring and attended by almost every serious producer on the mountain. This year some 93 wineries were showcasing tank or barrel samples of their 2016s (plus a few who snuck in bottles of more mature vintages, despite discouragement from the organizers). My goal was to find some of the newcomers. 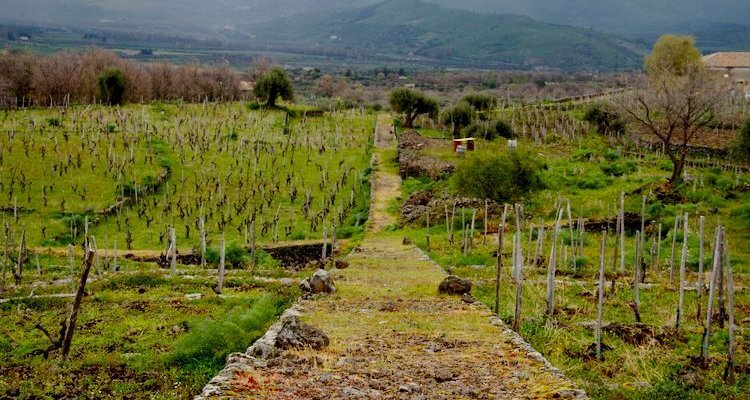 Major winemaking interests and investors from outside the region have driven much of Etna’s expansion. 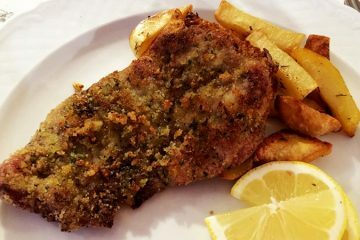 Every large Sicilian producer has a stake on the mountain now, including Planeta, Cusumano, Tasca d’Almerita (as Tascante) and, most recently, Donnafugata. The latter’s presence at the Contrada was a surprise even to some of the more well established producers, as the harvest must have occurred seconds after the ink dried on their purchase contract. Tasca d’Almerita has owned vineyards here for a decade, but only managed to buy a winery on the mountain last year. Planeta now has an excellent track record of making accessible but typical Etna wines, under the expert guidance of Hungarian winemaker Patricia Tóth. However, this corporate landgrab isn’t the only part of the story – the welcome return of many local families is another strand. Rosa and Carmelo La Guzza’s background is typical – their single hectare of 100-year-old vines has been in the family forever, but no one had much interest in doing anything more than selling the grapes until now. This young couple have just made their first vintage, which will be bottled under the label Vigneti Vecchio. Their Etna Bianco 2016 has three days of skin contact and went through full malolactic, something which seems to work well with Carricante. I was also impressed by their Etna Rosso 2016 from the Crasa Contrada – grippy, pure and mineral. One to watch. It’s a similar tale at Tornatore, but instead of just one hectare, the family owns 60! This makes it almost the biggest estate on the mountain (Cottanera has 65 hectares planted), but despite being owned by the same family since 1865, there was no commercial production until 2014. The wines have potential but I found them hard to judge in such an embryonic state. Giuseppe and Valeria, AKA Vini Scirto, are another young, local couple who have been vinifying authentic, characterful expressions of Etna Rosso and Bianco for a few years, but only recently started to sell their wines outside the region. Look out for their delicious Don Peppino Rosso 2016. Then there are the outsiders who end up here, almost randomly sometimes. Take Spaniard Eduardo Torres Acosta, who came for an apprenticeship but instead found love with Arianna Occhipinti. Originally from Tenerife (also volcanic soil), Acosta has worked for Passopisciaro since 2012, and since 2014 also makes his own wines on the mountain, as Versante Nord. Both the Etna Bianco & Rosso 2016 have huge potential and pure expression. Tenuta di Aglaea is the project of Anne-Louise Mikkelsen, a Danish winemaker who came to the very first Contrade in 2008 and has since taken up permanent residence with her own 2 hectares of vineyards (“No, they were not cheap”, is all she would tell me). Her first proper vintage on the mountain was 2013, but her Annacare 2012 is absolutely stunning – and unbelievably balanced even at 15.5% ABV. And they keep coming. 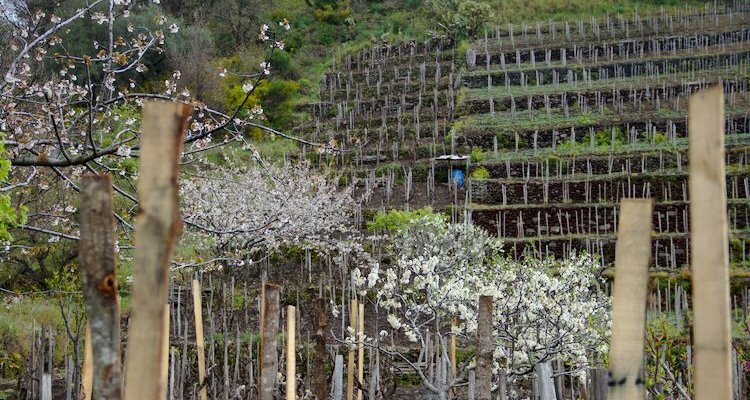 Visiting Alice Bonaccorsi’s extraordinary 18th century terraced vineyards, I was met by a young Frenchman who is studying enology at Valcerasa. Evidently taken with Etna, he hinted that he might look for his own vineyards soon. From more established producers, highlights included Alice Bonaccorsi’s Etna Bianco 2016 (already very full and complex), Benanti’s Pietramarina 2016 (delicate and nuanced as ever) and Theresa Eccher’s perfumed “ER” Etna Rosso 2016. Not tasted at the Contrade, but also showing great promise were a whopping nine single contrade 2016s from Frank Cornelissen (8 bottled under the Munjabel label while the ninth, Barbabecchi, will be Magma), Cisterna Fuori 2016 and San Nicolo 2016 from Biondi, and the just about to be bottled 2015 crus from Girolamo Russo (Feudo di Mezzo and San Lorenzo especially). I must also mention the current releases from Tenuta di Fessina – Musmeci 2011 and Puddina 2015. Both are absolute stunners. The obvious question is where this will end. Is there a danger of over production or saturation? Thankfully, it doesn’t seem so. Quality seems to keep increasing, and Etna is still a long way off being full. 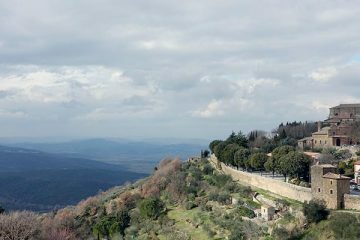 Even though the popular North side (around Randazzo) is now thick with wineries and new plantings, abandoned properties and dormant terraces still dot the landscape – and apparently land is still vaguely affordable, at least compared to big ticket areas like Barolo or Brunello.